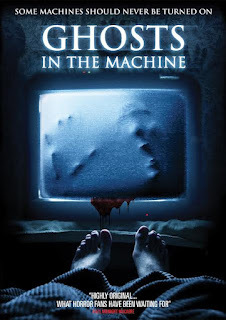 Out now from Australia is the supernatural horror HOUSE OF VHS (GHOST IN THE MACHINE) from writer/director Gautier Cazenave. In Australia/New Zealand the film has been released under the title HOUSE OF VHS by Bounty Films. 11.October 2016 will see the film released under the title GHOSTS IN THE MACHINE by TomCat Releasing in the U.S.
16.January.2017 will see the film released under the title GHOSTS IN THE MACHINE by Three Wolves.